As a property owner, I have been thinking a lot about the inefficiencies that current property managers use to this day in their workflows. 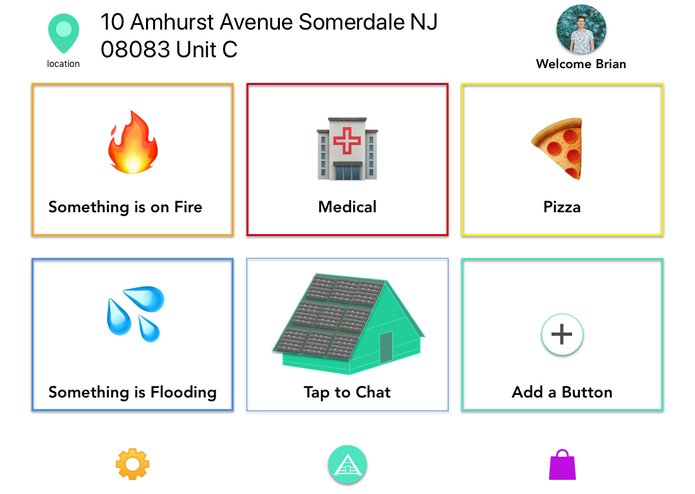 I needed a simple way that I could interact with my tenants without having to be there directly but still, enable them to send clear messages for things/services they need/want from emergency services all the way to pizza. I thought of a hub or central place they could use to accomplish all of these tasks with easily understandable features. Integrating the chat functionality into the application was very challenging because I tried multiple frameworks and complex tutorials before discovering socket.io which runs on a simple node.js based server. Hooking up the HTTP post requests to an external API through angular which, I've never used before. Also building the chat functionality into the angular app was quite fulfilling.